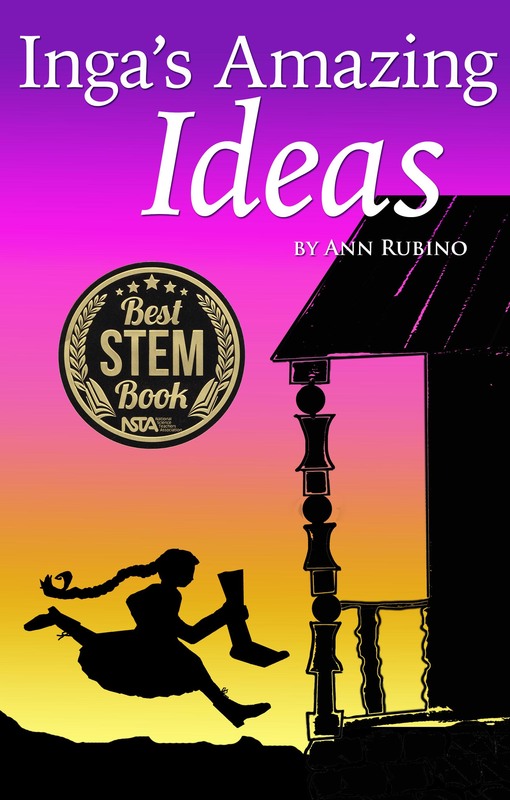 Historical fiction middle grade novels with real scientific content for grades 5-8. For kids who "don't like science" a series that will change their mind. Emmet Roche is an odd ball, a whippersnapper, a genius. His failed science experiments caused such ruckus he's being shipped out to the country school. Nobody there likes or understands him. When the blizzard of 1888 hits, snowing sideways, will anyone listen to his ideas about the flame color in the stove? And the headaches and dizziness? Will they take his advice before it's too late? Inga is no ordinary 11-year-old girl and it isn't just her crown of white blond hair that makes her different. Standing with the orphan children she stares ahead with a grim expression, waiting to be chosen for a mother's helper. In 1888, girls are expected to cook, sew, clean and scrub the laundry but Inga has other ideas. She'd rather solve problems than clean; improve machines than cook. But then she's adopted by Mr. Duffy to help his wife, the town pie maker. Lugging her carpet bag she trudges behind her new parents who, to her surprise, live in a blacksmith shop... filled with tools! Oh the things she could make! If only she didn't have to spend so much time peeling apples... or does she? Inga engineers her way through Floyd County Iowa as the Swedish girl who can fix things. But does she go too far? 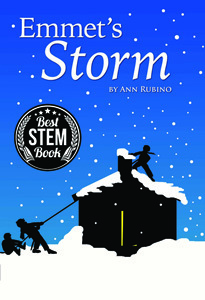 Two-part series fiction book with real historical content for grades 5-8. 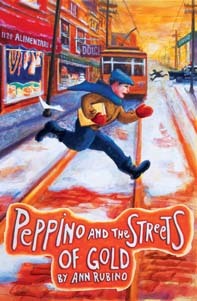 After living under dictatorship and through WWII in Italy, Peppino arrives in America in 1948 expecting to find streets "paved with gold." Instead he finds himself a foreigner, a Dago, living above a grocery shop with his parents and his Uncle Carlo, who sneaked in illegally through New York. He isn't prepared for the slush and bone chilling cold of a Chicago winter. When his old friend Dominic shows up, the temptation for the boys to connect with the "Outfit" who control the streets around Grand Avenue is fierce. They'd have money, a group to belong to, and life would be easy. Or would it? 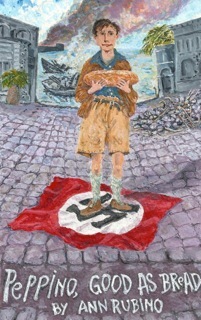 Ten-year-old Peppino lives in a small ancient farm town in Italy. His father is in America, the Fascists have taken over his home and force him and his mother to live in the basement with their farm animals. With World War II raging around him, Peppino learns what it takes to be a survivor--to become a person who is "as good as bread."